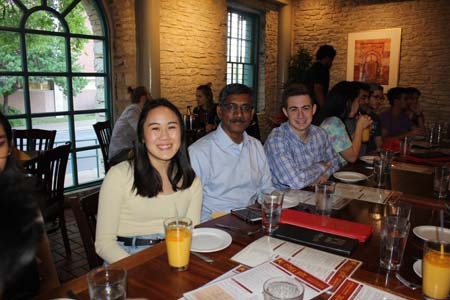 This week, BHP freshmen went to Clay Pit Indian Contemporary Cuisine for the annual, and much anticipated, MIS Dinner with a Professor, with professors Ashish Agarwal and Prabhudev Konana. The dinner started with Mango Lassis and Samosa for all, while Dr. Konana and Dr. Agarwal underwent the enormous task of ordering food for everyone at the table, family style. 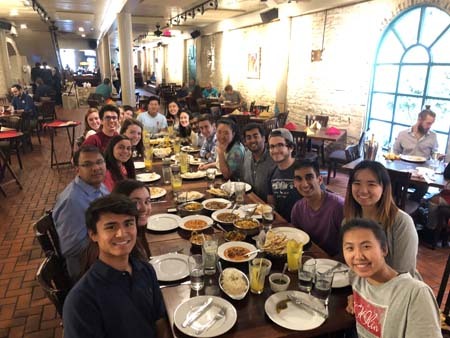 Students feasted on Naan, Biriyani and even some lesser known Indian cuisine like Dhingri Mattar Paneer and Channa Saag. Student were delighted to listen to interesting conversation about the professors’ personal life, advice and insights. Specifically, Dr. Konana explain how so many top traders and bankers have backgrounds in economics and math since these fields are the building blocks for the kind of financial modeling that they do. 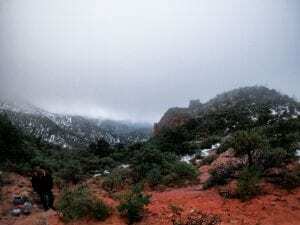 He discussed how he incorporates those concepts into his course for that reason, to give BHP students a leg up. Dr. Agarwal spoke about his favorite music, hobbies, adolescence and schooling, as well as his philosophy on teaching. Students compared their favorite Guns and Roses and Led Zeppelin songs with Dr. Agarwal, as well as opinions on cold vs. warm calling. It was a great night full of learning and laughs and at the end the students surprised the professors with a card thanking them and expressing how wonderful they thought the event was! 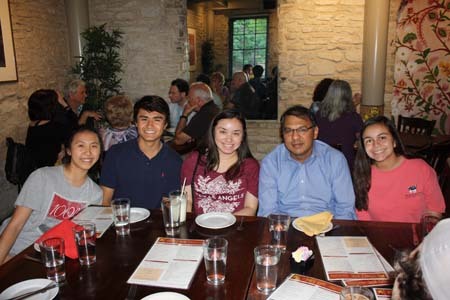 Dinners with a Professor are organized by the Honors Business Association, and supported by BHP fundraising efforts. 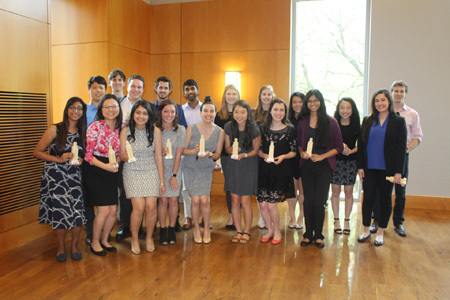 Congratulations to all of the students recognized at the McCombs Honors Convocation this past Friday. Here is a list of the BHP students who received awards at the event. 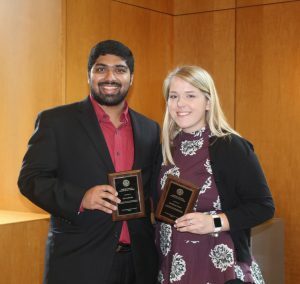 In addition to these individuals, we were proud to honor many of you for your outstanding scholastic achievements, and want to congratulate all business students and organizations who were honored with an award this year. 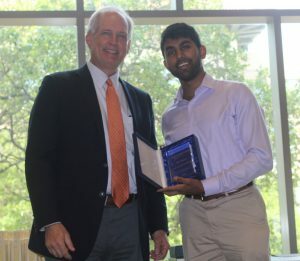 This award is presented to a graduating McCombs undergraduate or MPA student who has proven an established commitment to service within the McCombs School through outstanding scholarship and achievements, as well as exemplary leadership and community involvement. The recipient demonstrates significant growth potential as a future leader in the McCombs community. This award is given to a Business Honors senior, who in the judgment of their peers and the BHP faculty and staff, have distinguished themselves in academics and leadership. 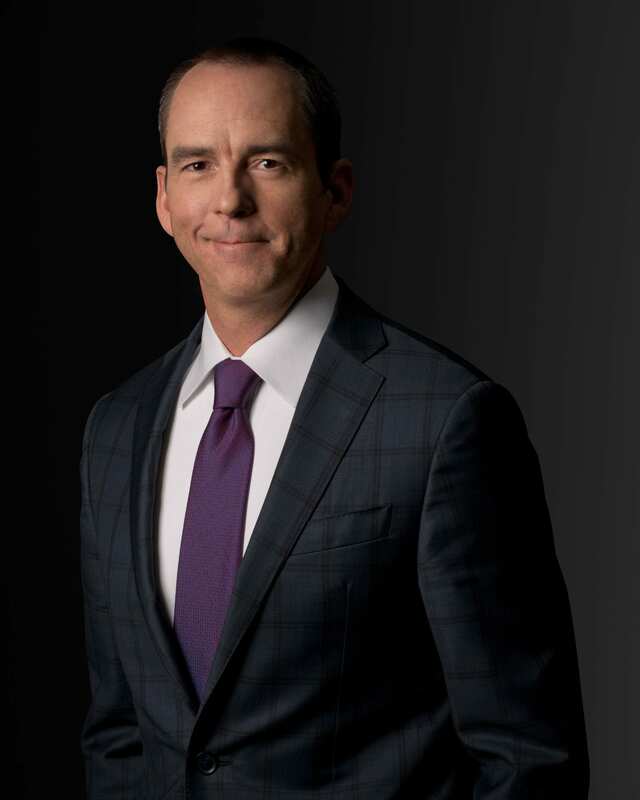 George Mitchell Business Leadership Award – This award recognizes students who have exhibited strong leadership within the McCombs School. There are two winners per class. 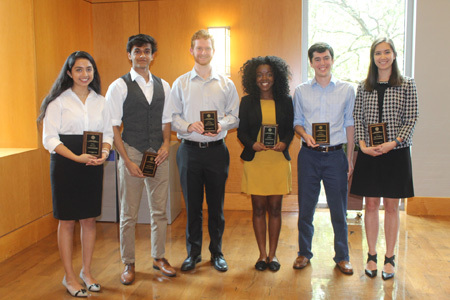 Barbara Jordan Business Leadership Award – This award recognizes seniors who have been committed to leaving a legacy of mentorship, leadership and passion at the McCombs School. 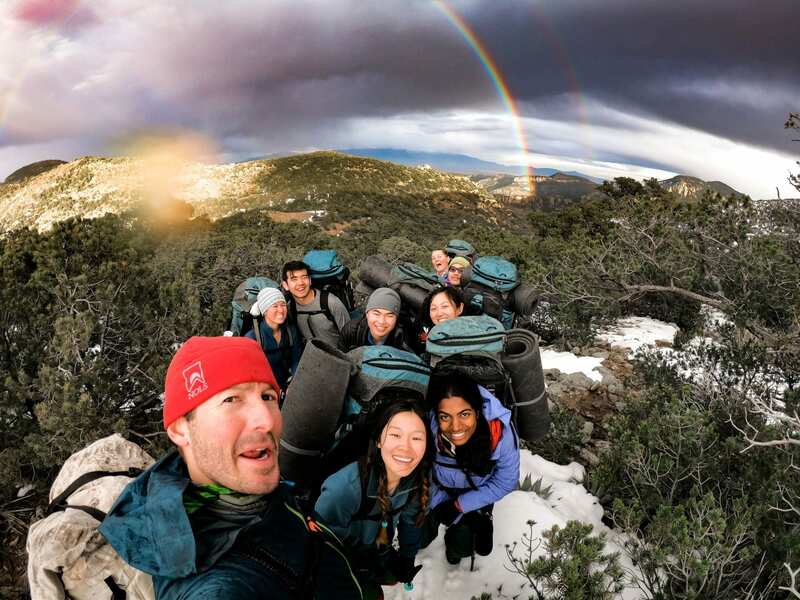 There are two students selected each year for this award. 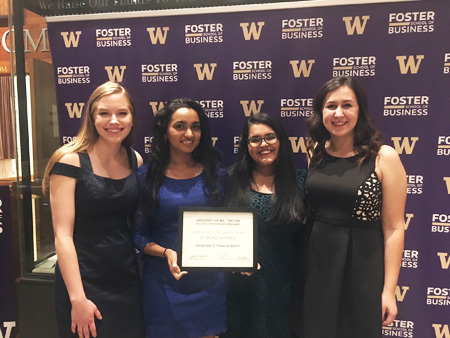 This past weekend, McCombs sent a team comprised of four BHP sophomores, Ashley Akin, Anushka Madhuvarshi, Swetha Davuluru and Rebecca Ortiz to the University of Washington Global Business Case Competition in Seattle. The competition featured a short and long case. The UT Austin McCombs Team won their bracket for the short case and took second place for the long case. Twelve teams from around the world competed at the event. The competitors included American University of Beirut (Lebanon), Maastricht University (Netherlands), Peking University (China), Pontificia Universidad Catolica del Ecuador (Ecuador), Thammasat University (Thailand), Universidad Panamericana (Mexico), University of Hong Kong (Hong Kong), University of Sydney (Australia), Western University (Canada), University of Arizona and University of Washington. The long case focused on global expansion for Amazon Web Services. 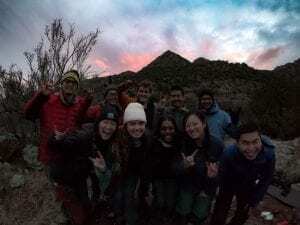 The winning team was Thammasat University, but Texas was a close second. 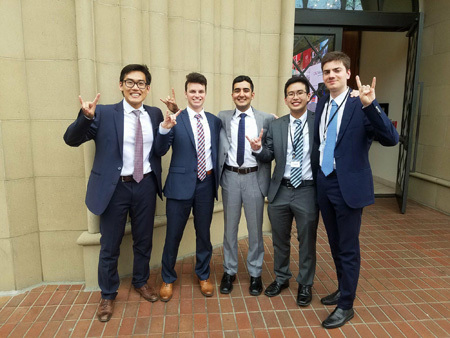 Also this month, the USC Value Investing Group hosted its third annual USC Stock Pitch Competition and two UT teams took home first and second place. Twenty teams from across the country competed. 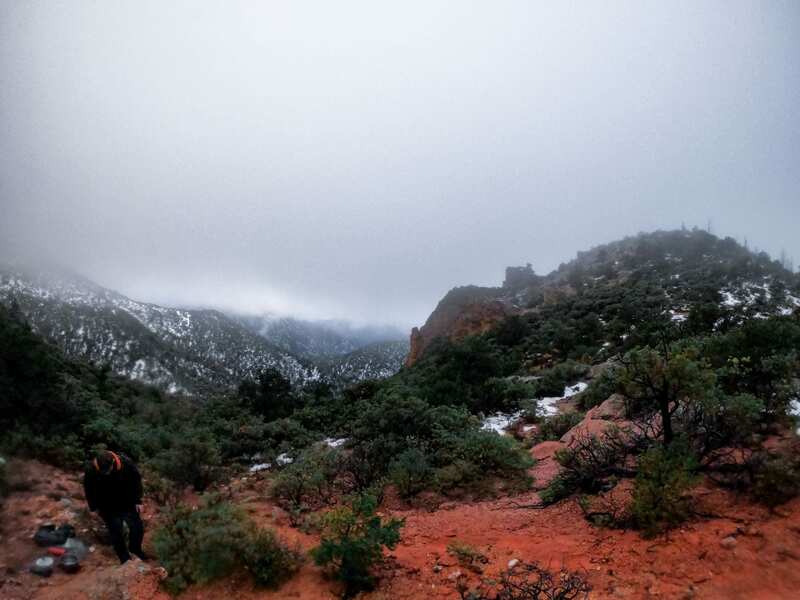 Eric Sun (BHP sophomore), Nick Marchenko (BHP freshman), Dhruv Dhuper (BBA freshman), Joseph Buschmann (BBA senior), and Bryan Goh (BBA junior) took first place. They are all members of the University Securities Investment Team, a group which also financed their travel to the competition. Daniel Chen (BHP Senior), Michael Everett (BHP junior), Jackie Ye (BHP junior), and Reese Davis (BHP junior) took second place at the event. Congratulations to all of these students on these impressive wins!